Another well thought out and clearly explained analysis of our "War on Terror" failures. However, I am going to disagree with you on a few things, but I think it is really not a semantics issue. Islam does not seek to integrate us into them. Based upon what the dictionary says about integration, that would be an example of us being brought in as a part of the society, to blend in with or unite with it. I rather think they want to assimilate us more like the Borg on Star Trek Next Gen. We are foolishly thinking they want to assimilate with us and become like us. No, they want us to reject everything we hold to be true and valued and adopt their theology and social values. Also, you pointed out the following: "The United States however is not an Islamic country in any sense of the word. It does not face the same demographic danger as France." Unfortunately, that may not be true much longer. 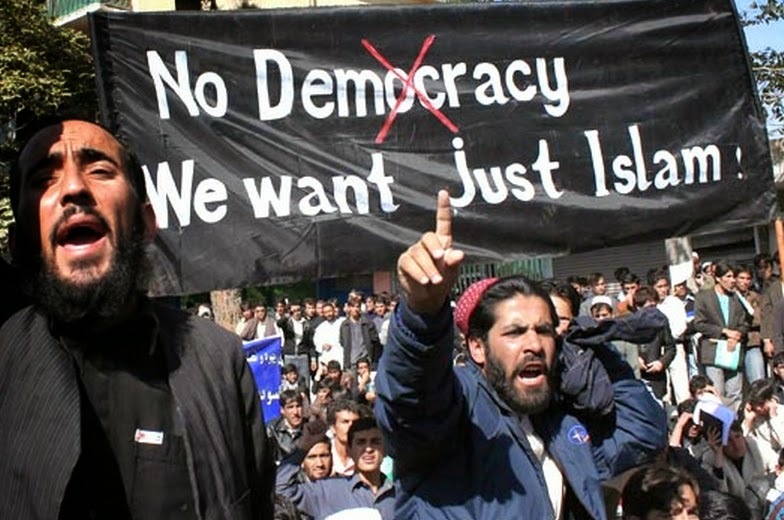 Between the Dems and Reps, no one wants to close the borders, and BHO can't seem to bring enough of these "refugees" here from these Islamic paradises. Of course, this actually started with Reagan from my experience, when he brought the Afghan mujahideen over here for "Humanitarian" purposes. Bush 1, Clinton, and Bush 2 perpetuated this. I have had some run ins with some of these "Humanitarian" gestures, and they were not exactly cordial. We need to stop letting the left set the terms of the discourse nor let them define the meanings of the words. Islam is not a race. Refusing to admit these characters and identifying who the perpetrators of the terror are, is not racist, it is accurate, true, and common sense. Unfortunately, with our politicians addicted to OPEC Oil Money, and both parties trying to buy votes by leaving the borders open to anyone, I think it looks grim. The media will crucify anyone with real courage and values, and we will end up with the same useless "leaders" in DC. That awful sucking sound you hear? It is not just our jobs, technology, and industry being sucked out of the country. It is our tax money and our freedoms being sucked up by the state and federal bureaucracies. It is also our liberty being sucked out of us in the name of liberalism, tolerance, pluralism, and diversity by the so-called progressives. 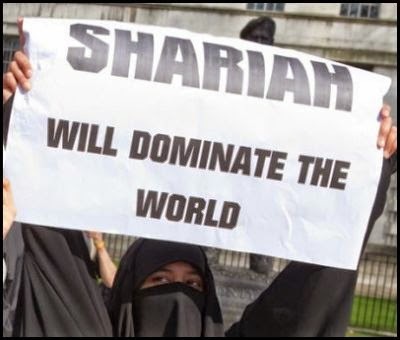 Of course, all of the aforementioned do not wish to recognize that they will be among the first to go to Chop-Chop square when and where the Sharia flag is raised. Again, thank you for your posting, but I those that need to read this are not. Shabbat Shalom. I agree wholeheartedly. The James Taylor strategy Obama insists on will only help the Islamists. As long as Obama is in office, America will continue to be downgraded and subject to attack. This is a cruel thing to say, but if I were president and I found out the identity of the terrorist that had been cutting off American heads, his entire family would already be dead, including relatives. A country cannot fight terrorists without resorting to their merciless tactics. Liberals always say, "Come one, we are better than that." No we are not if we want to survive. You can't reason with people who are willing to blow themselves up. It's best just to send them out of this world and you no longer have to deal with them. Liberals will be screaming along with everyone else when their empty noggins are being sawed off by the terrorists and then their elitist attitude won't mean anything. We are at war and this is not some game to be played in discussion. They must be destroyed without mercy down to the last one. Rubio apparently has a solution to ISIS dialed in. 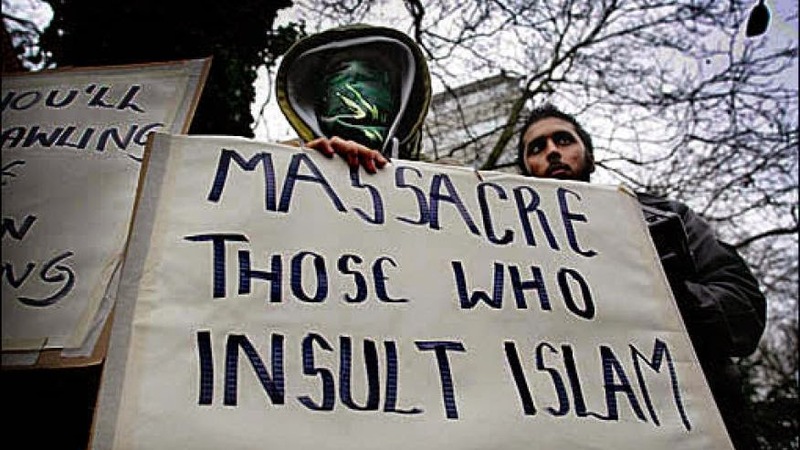 The author pretty much defines the problem of Islamic terrorism. His "choice", it would appear, is to chose war on their soil. Our options are much better than Europe's, except that Obama, as CIC, will chose the wrong (Europe's) strategy, out of incompetence, arrogance, and ideology. He, and they, won't fight. The dead, untold wounded, and the lost treasure expended can't be justified just because they're killing their Christians and Muslims. Hot-headed demands for all-out war don't make sense. They need to be stopped, but is it our duty? Those who most feel the pain will have to fight or be enslaved. The Oil Monarchies will fight or fall, but will their armies be loyal? Saudi royals are running out of places to send their fanatics, and ISIS has already attempted to penetrate Saudi's border on their way to take the "holy" cities of Mecca and Medina. We can afford to watch that pan-out. Most of us well-remember Viet Nam, but what did we gain from that carnage? There will always be Demorats giving it all back, when the People tire of the war. It's inevitable. Obama might be right not to fight, for the wrong reasons. Well, about a decade ago I thought half-jokingly that by about 2030 Western countries will haft to lift their ban on polygamous marriage because it is, by strict pc standards, racist. Now I know that the ban is also polyamorouphobic, but that’s another story. Ok, my bet, by 2050 the abolition of slavery will be solemnly abolished because it is i.phobic. The few remaining advocates of the ban will be conservatives (what irony) that will be ridiculed and ostracized by the most progressive Western media. Want some headlines? The Guardian ca. 28/02/2050: “Apartheid state – Georgia keeps slavery ban in place – World leaders, UN outraged – Secretary of A. League deeply concerned - Association of American Sociologists warns of "Othering" - National Cathedral calls for joint prayers). Don’t think I’ll get much out of it – the descent into madness has long spiralled out of control. I grew up being a vivid Kishon reader. If he would be still alive, what stories could he write. "the domestic social problem comes from Jews and Christians who refuse to acknowledge the supremacy of Islam"
That thar is comedic gold, Daniel. But funny in fiction only, of course. Not so much when the narcissistic houseguest is in your own home trying to make it HIS household. It appears that your views are coalescing with those of Andrew McCarthy who just published an article, "Bring Back the Bush Doctrine" on NRO. All well and good but if you are going to make the terrorists the equivalent of an outside invading force than you have to introduce treason into the equation. You couldn't fight the Nazis and give the German Bunds a free rein in America. Say what you will about the Japanese interment it was only unjust because their disloyalty had not been established. If it was clear and they caused harm it would have been a necessary outcome of war. How do we neutralize the Left and the Jihadis internally? If we don't externalizing the war effort is doomed. "The War on Terror" was doomed from that first utterance, I think. I have often just contended that it's an anti-concept; declaring war on a tactic. But I thin that this article makes that WOT problem even clearer, it really amounts to ignoring where the enemy is (internal / external), in addition to what the enemy is.